How is Hypnosis and NLP so Effective in Helping to Overcome Anxiety? Practitioners in certain therapies try to overcome anxiety by talking through issues with their clients, trying to provide insight into their difficulties, hoping that this will enable them to make a ‘conscious’ effort to overcome their fears using willpower. The problem is that most fears and anxieties are not consciously understood by most people. If they were they could simply use their willpower to override the uncomfortable feelings. Anxiety is rooted at the very powerful, primitive subconscious level of our beings, out of reach of our conscious awareness. Hypnotherapy – using comfortable, controlled relaxation – can allow clients to be directed towards the root of their anxiety at the subconscious level. Once the client is able to understand at an emotional level where their anxiety first started, they are able to look back at it from a perspective of greater maturity, understand why it has become established, put it in context, and then allow it to go. Advanced, fast hypnotherapy techniques, as utilised by Hugh Clover, and coupled with the resourceful methods of NLP, mean that this process can be remarkably fast and efficient. We do not tend to be born with anxiety, although some people might be a little more predisposed towards it than others. If we can access the point where anxiety was first established in the subconscious – often early in childhood when we did not have the life experience to put our fears in context – then usually we can alleviate or overcome the symptoms in a way that allows us to move on in our lives in a much more positive and comfortable mind set if you like. Hypnotherapy is a psychotherapeutic technique that works at the subconscious level of our being. This is of immense importance, because most of the problematic, emotional and habitual patterns that cause our difficulties with anxiety are rooted deep in our very powerful, primitive subconscious minds – our driving force if you like –out of reach of the our much weaker conscious minds. Other therapeutic techniques, such as counselling and Cognitive Behaviour Therapy, tend to work at the level of our more modern (in evolutionary terms) and much weaker conscious minds, the seat of our willpower. Unfortunately will power does not tend to be strong enough to deal with our problems once they are deeply established unconsciously. This means that counselling and CBT are likely to be limited in the amount of help they can give with emotional issues such as anxiety. How does hypnotherapy manage to work at the subconscious level? When someone is relaxed into hypnosis access is opened to up to subconscious awareness and all past relevant memories. When this happens the deeply rooted and problem feelings that are causing the client difficulties can be accessed, understood consciously, put in context, and then allowed to dissipate thus losing any destructive emotional impact they may have had. 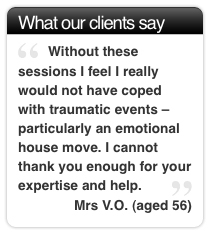 Problematic feelings are dealt with and clients are then able to carry on with their lives no longer hindered by out dated emotional feelings that may have been holding them back. Hypnotherapy is a fast, relaxing, comfortable and highly effective therapy. The client is always in control of the process and remembers everything that happens during the therapeutic sessions. NLP (Neuro-Linguistic Programming) – don’t worry too much about the name – has been called the study of our subjective experience. More simply it can be described as strategies for achieving excellence. 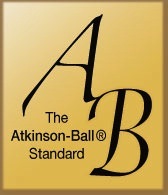 It has developed out of the ground breaking work of Richard Bandler and John Grinder in the USA, who modelled successful therapists in order to come up with a structure of techniques that lead to consistently successful therapy outcomes. Since then the techniques have been used world wide by people seeking effective methods for change and development, and has evolved further to be used very effectively in business, education and sport. NLP is based on the modelling successful people in their particular expertise, building confidence, developing patterns of language (internal and external) geared to getting results, and identifying and working towards both short-term and long-term goals. It is a strategy that helps us to make the most of all the resources that we have within us. As human beings we naturally tend to move towards what we perceive as pleasurable and positive in our lives and away from what we perceive as painful. NLP helps us do exactly that. It is geared towards moving us in the direction of what we really want from the ‘heart’ if you like (the subconscious) as opposed to away from what we don’t want. The use of hypnotic relaxation to allow access to the driving force of our subconscious minds, combined with the tools of excellence devised and developed over the years in NLP, provides a means for quick and seemingly effortless change and development for clients. People who are anxious can discover the roots of their anxiety, put these feelings in perspective and subsequently behind them, and then take advantage of techniques to move forward in life towards their ultimate hopes and ambitions. 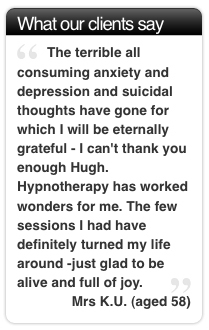 Hypnotherapy combined with NLP is not magic, but some of its effects have been described both by practitioners and clients alike as life changing and ‘magical’. You can phone Hugh on 01206 323 089 or email hughhyp@hotmail.com using the Contact Form and he'll be in touch with you soon. 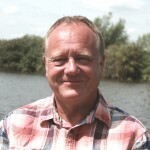 Hugh Clover - hypnosis/hypnotherapy - Ipswich, Colchester, Hadleigh, Dedham, East Bergholt, Manningtree, Capel St Mary, surrounding towns and villages.